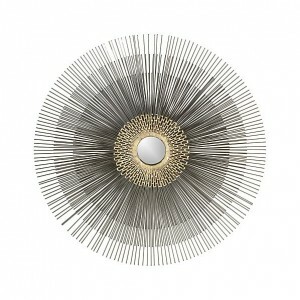 Sometimes a piece of furniture or other home furnishing is so good that it becomes a design classic. These no fail online interior decorator selected, go to elements, give a home a classic touch and work with a wide range of design styles. 1.) 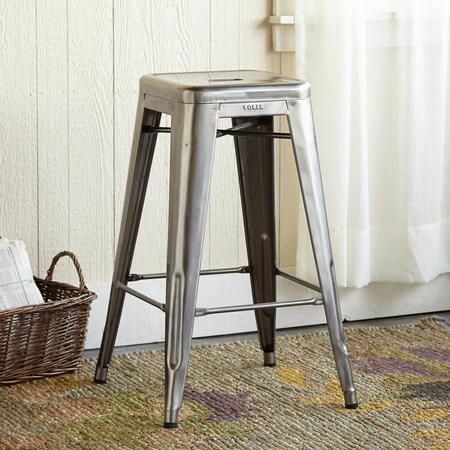 Tolix first introduced these stools in the 1950’s and they remain a design classic. These metal barstools are a staple of an Industrial Modern look yet fit in well in almost any design style. Fun, classic and retro! 2.) 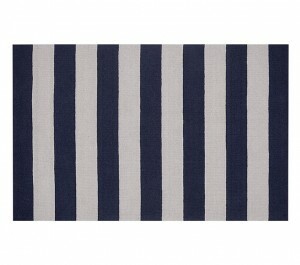 A stripe rug is always a good choice. 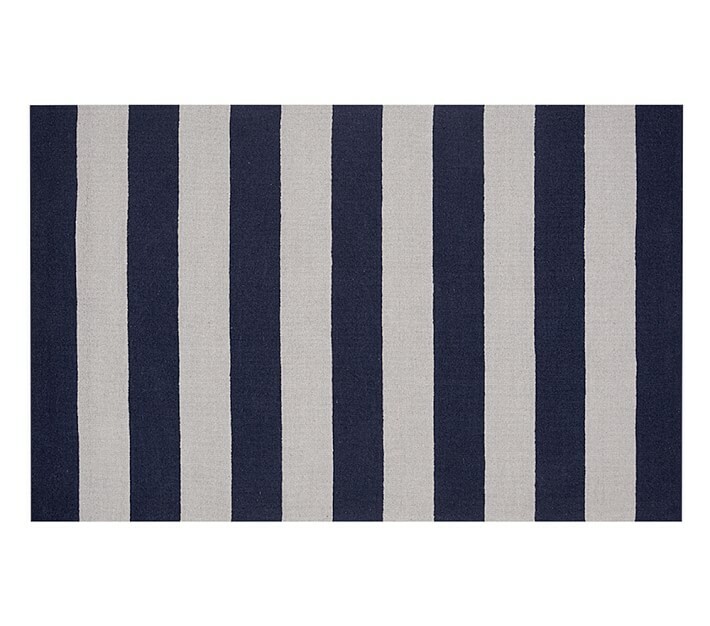 The wide stripes and perfect color palate (navy and grey) allow this rug to work anywhere from a kitchen to a child’s bedroom or even under a dining table. 3.) White slipcovered furniture is a foundation of Shabby Chic interiors yet there is no need to limit this look to only one style. 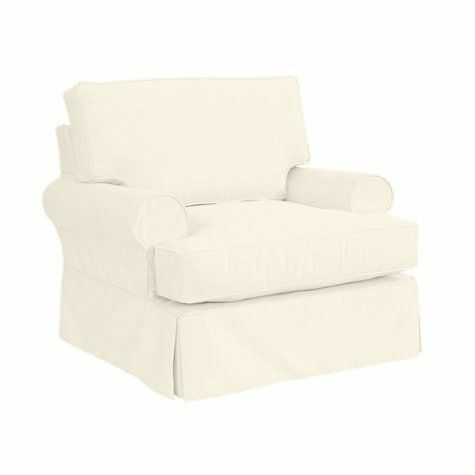 White slipcovered furniture is crisp and clean looking and can fit into almost any style from contemporary to traditional to shabby Chic, all based on the shape and lines of the furniture! 4.) Way too pretty to be left out in the in the rain! 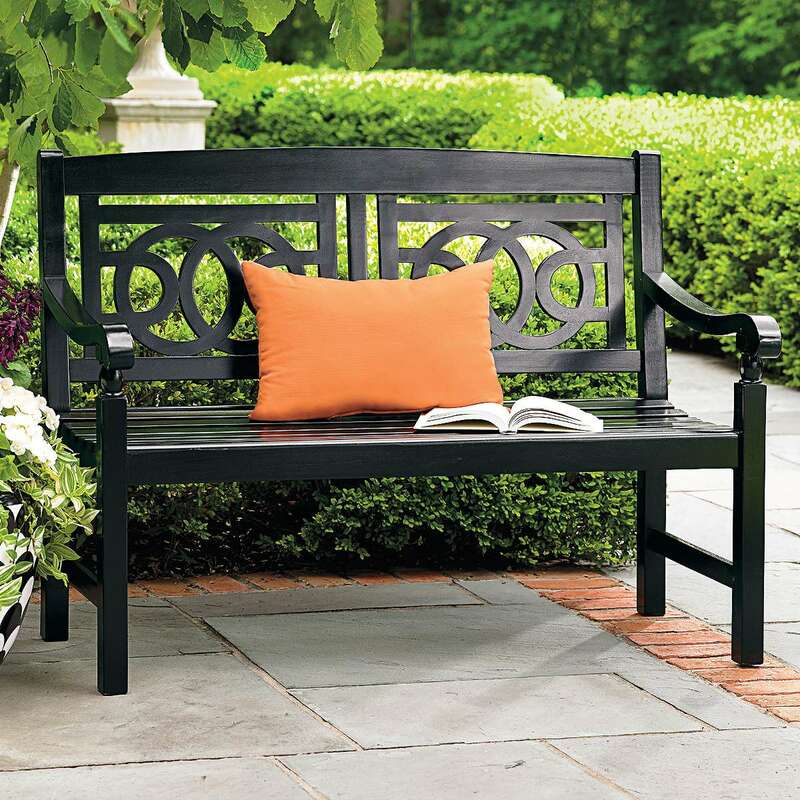 A bench with classic (hint of British Colonial lines) works incredibility well in an entry to welcome your guests in classic style. Adding a gorgeous long lumbar pillow softens the feel and can tie the bench back to your color scheme. 5.) 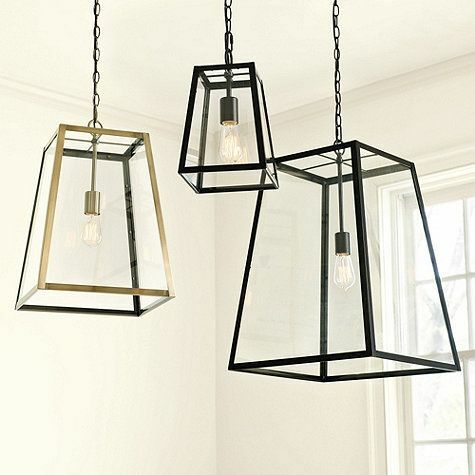 At first you might see a glass pendant light and think dated and done but not these fixtures! 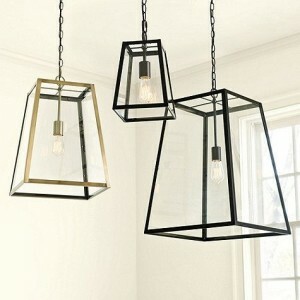 The cube shape and antique bronze (almost a black) finish options help these pendant work seamlessly in most interiors. A set of three small fixtures hung over a large island creates a lovely composition. 6.) Need a way to hide your television when not in use? 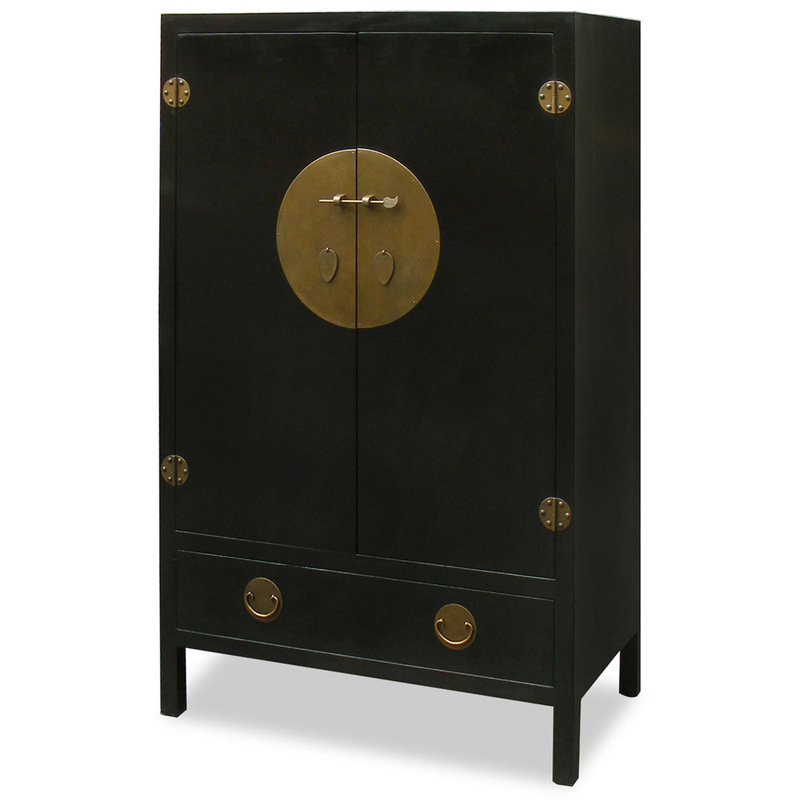 A Ming style armoire is just the right piece. Timeworn, this type of armoire becomes a quiet focal point in a room. 7.) Warm and inviting. 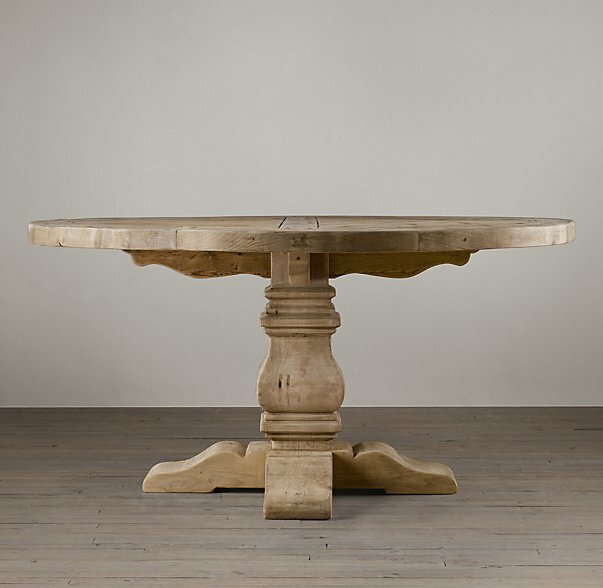 Nothing says family and home like a large well-worn round dining table. A trestle table is an element that helps a house look like a home. 8.) 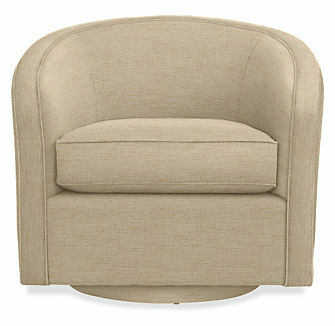 Swivel chairs are both functional and cool, and in a rounded tub shape are design classics. I love to add swivel chairs to large open space so you can turn toward different sections of a room creating an easy of conversation and great use of space. 9.) 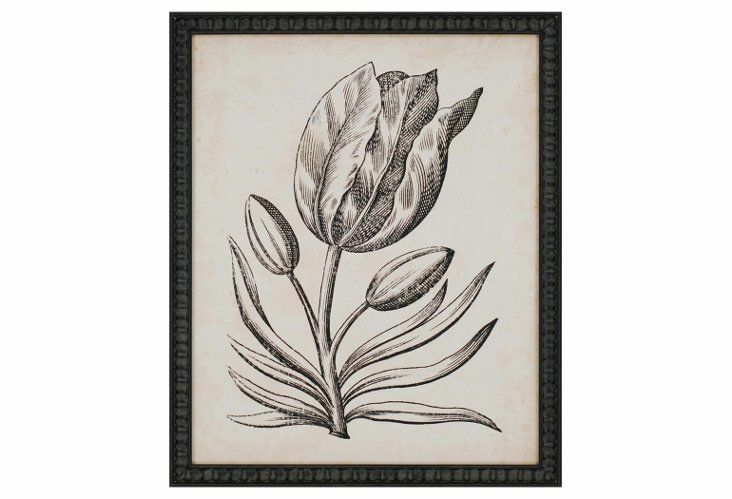 Botanical prints work in almost any room. 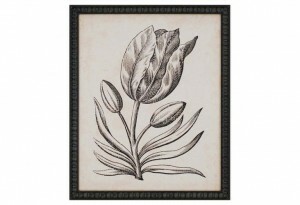 Classic black and white botanicals are even better. For a modern look in a bedroom pair with grey walls, white linens and warm dark furniture. 10.) If given the choice, I would typically select fresh over faux but there are some really good artificial plant options now available. I adore a long planter of succulents on a table. 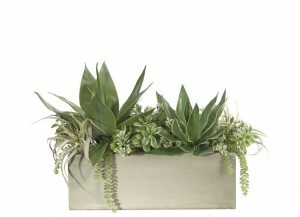 They give an organic, earthy touch to a home. 11.) 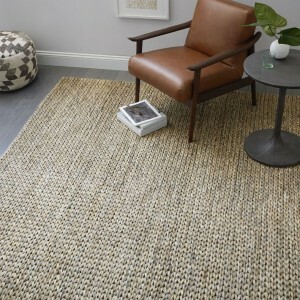 Natural fiber rugs are always a good look and they typically cost much less than wool counterpart. These rugs morph their look to fit almost any design style based on how they are used. One of my favorite ways to use a natural fiber rug is with a hide or sheepskin placed on top. 12.) 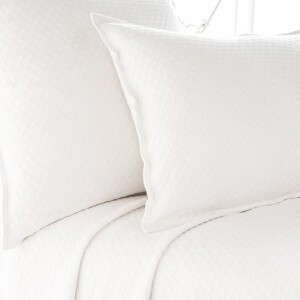 White matelassé bedding evokes timeless luxury! Working into countless color scheme, white matelassé bedding is a chameleon of sort; add punches of bold accent color or softer color touches to completely change the look. This bedding will never go out of style. 13.) A starburst mirror is not just for Mid Century Modern interiors. This iconic style mirror can be used over a fireplace, above an entry table or anywhere you need a bit of unexpected coolness. 14.) 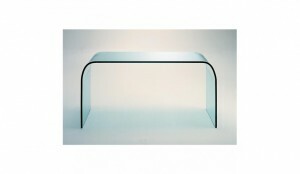 Glass waterfall tables vertically disappear in a living room allowing your rug underneath to shine. 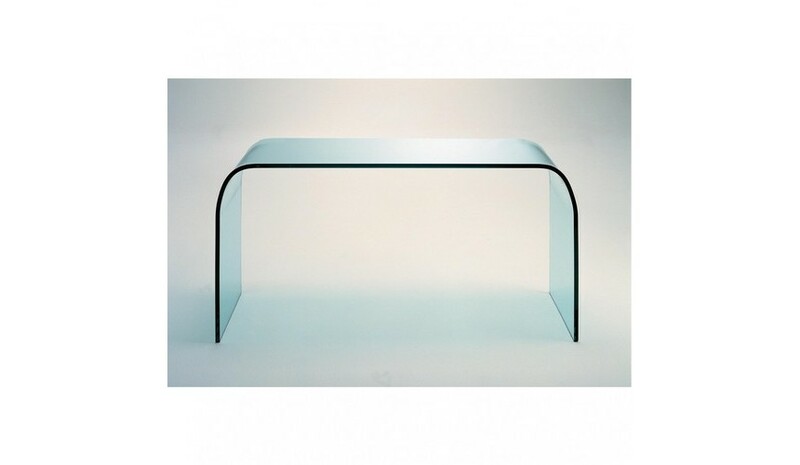 Even with this quiet presence, the glass waterfall table is certainly a table not to overlook. 15.) 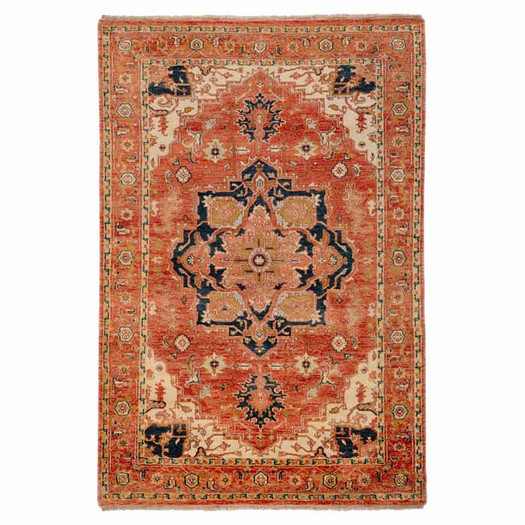 Red and navy wool rugs in a traditional slightly ethnic style will never get tired looking. 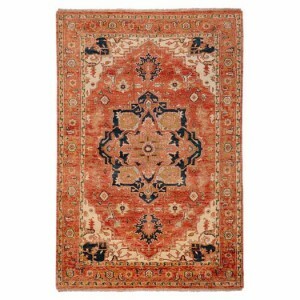 Seek rugs with an aged, antique look to work as a backdrop in a room. 16.) 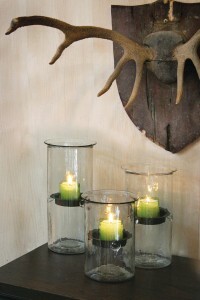 Unrefined yet elegant, glass hurricanes always work well in design. These seeded glass hurricanes can be placed on a dining table of coffee table giving a soft glow and a touch of rustic to a room. 17.) 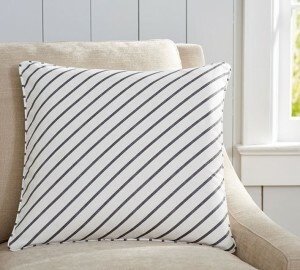 A perfect pairing with a solid, floral or even Ikat pillow counterpart. 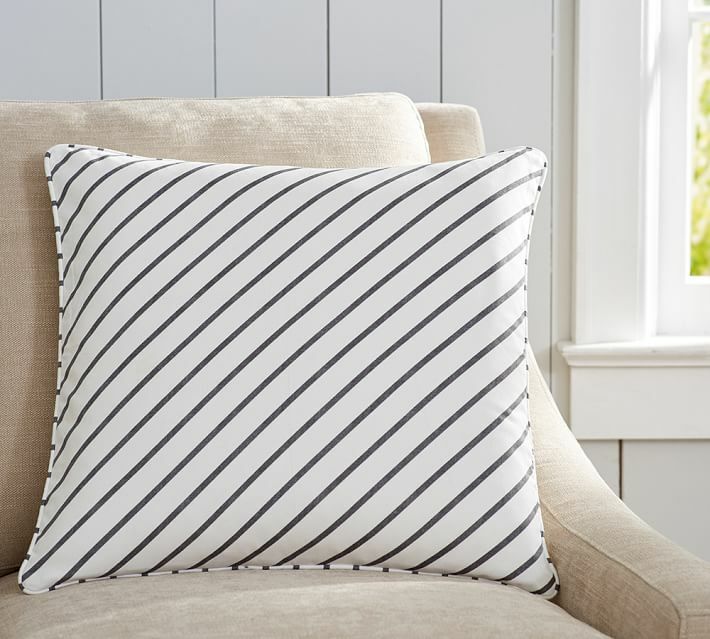 Stripe pillows are like a neutral – they go with just about any other pattern. 18.) No online interior decorator list of classic design elements would be complete without an arc floor lamp. Timeless and modern these lamps are one of the best ways to add classic design to a room. 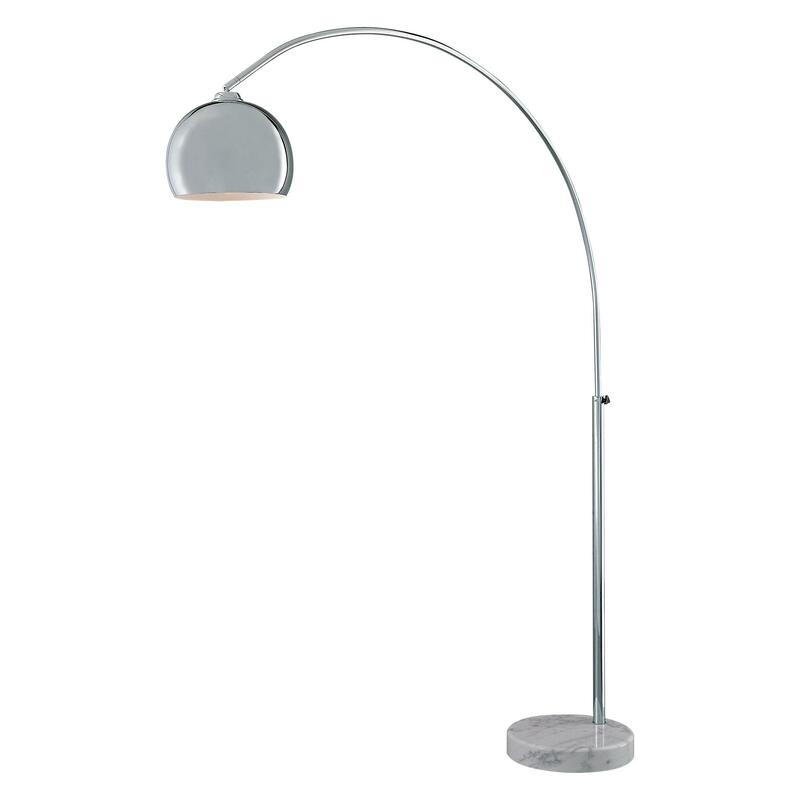 Don’t limit yourself to using the arc floor lamp only in a Living Room. Why not bring into a Dining Room to light a table in an unexpected yet awesome way? Like these suggestions? Please follow me on Pinterest and Facebook for other design inspiration.